Technically, I shouldn’t bit*h about my life. My blog is turning out to be exactly what I want it to be, I’m starting and doing things that I set out to do, and I’m meeting and working with some amazing people. I can’t even say “Thank You!” enough to the fans of my blog for the support and interest! I am trying to line up some car show appearances and work with race car teams and tuning shops to shoot BoostAndBoobs.com photos with my models, Ann and Aubrey. It has been great speaking with these groups, and I’m excited with the prospect of potentially working on these future projects with them. I’m so excited with what my blog has grown into and look forward to lots of fun and projects over the summer. I can’t really divulge everything I am actively working on as things are still in the planning stages, but trust that there is a lot of shoots with the girls coming up which means you’ll get more pics of them soon! The BoostAndBoobs.com girls at an F2DRI shoot to get shots for HondaFest! 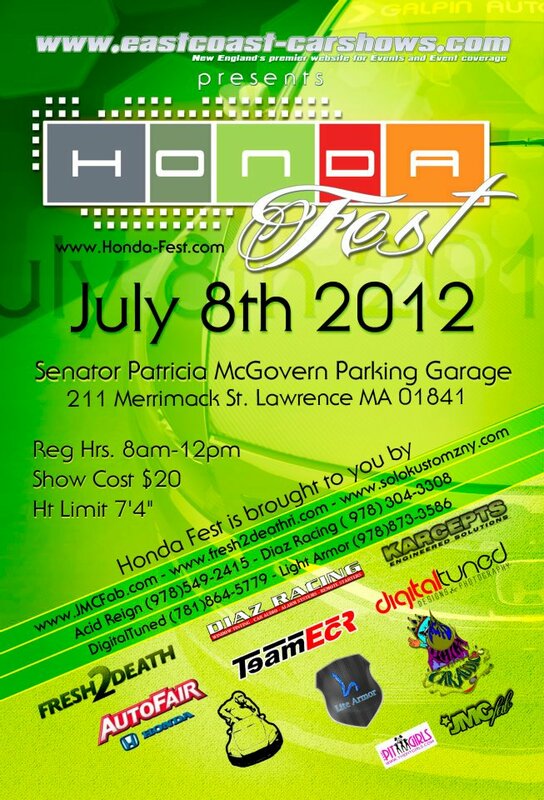 The girls have HondaFest coming up on July 8 in Massachusetts and are very excited to be at the Fresh2DeathRI booth. Currently, I am working quite intensively with F2DRI to get exclusive pics of the girls and am busy doing shoots for all things Honda. I plan on dropping the F2DRI marketing campaign for HondaFest soon in June, 1 month before HondaFest so expect to see lots of great F2DRI pics of the girls and things related to Honda! PLEASE look forward to more awesome pics of the girls, and don’t forget to hit up there FBs and tell them how much you enjoy how hot they are! Meeting and hanging out with girls that are beautiful and friendly and not b*tchy really can happen. I know because I and many of you have hung out with Ann and Aubrey and know that it is ALWAYS a good time of laughing! Also, there are a lot of questions regarding BoostAndBoobs.com shirts… which is great bc it means that you guys really do support the blog! I will be working on designing new shirts and will keep you posted when they are available. I leave you with this pic. Here are Aubrey and Ann doing what they do best, second only to be totally beautiful…. the girls are being awesome! I had a vision for exactly what I wanted for this shoot and even though I have my BossLady antics, the girls were on point and always makes it fun! Here we all are in the engine bay of the car and me just laughing my face off! I love what I have in my life and I love my friends! Thanks again everyone! Please feel free to leave comments here, email/GTalk me at: BoostandBoobs@gmail.com, or leave a message on FB! I love hearing from all of you!